When I first interviewed Josh Wilson several years ago about his debut album, Trying to Fit the Ocean in a Cup (2008), we formed a special bond between writer and musician, which continues today. I have made no secret about my appreciation for Josh, as a musician, friend, and fellow human being. Naturally, that brings a whole new element to an interview, like talking to an old friend about an exciting project. Essentially that’s what it was like to interview Josh about his latest album, See You. It is these qualities that make Josh Wilson one of my favorite musicians in the music business. And just one of my favorite people in general. After that glorious introduction, I now present our interview. I’m incredibly excited for people to hear these songs. I recorded them last August, so I’ve been sitting on them like a Christmas present that I’ve been waiting to give away. I’m excited to give it away. Let’s talk about the title track for a minute. “See You”—that’s a pretty deep song. I thought it was going to be a nice, little happy song. It’s a hard song to listen to. I struggled when I wrote it to figure out how to resolve the song because it deals with wanting to see God in the hard times, but not being able to. The first verse talks about a sick child—a reference to my friends who have a son with a heart condition. The second verse talks about a divorce. I had a good buddy go through a divorce this year. I think those are two kinds of situations when people ask, “Where is God? If God is really there and He loves us, then why is this happening?” I have certainly experienced things in life where I can’t see God. The song says that in the middle of all this, I don’t see You. I didn’t know how to resolve the song because I didn’t what to leave it there. The song is followed by an instrumental version of “It Is Well (With My Soul),” which is a response to that song. But I didn’t want someone to listen to the album and hear the song, but not hear the resolution—the hope that we do have in Christ. “See You” doesn’t end with a big bowtie around it but it certainly points to the fact that although we don’t see Christ in those moments, we are going to one day. I sort of like the unresolved tension. Yeah, as an artist, as a creative element, I do, too. I like to watch movies with unresolved endings and I like music that sits in the moment. You know, I was thinking about this album as I was writing the review (which everyone should read), and I’ve been listening to this album from start to finish, from start to finish over and over again. And you start with “Sing It” and end the album with the “Sing It” reprise. This album really should be listened to as a whole project. It’s not a bunch of songs with a few that sound good on radio. The whole project sort of fits together and the songs flow together. Was that intentional? Not when I was writing the songs. When I picked the songs to go on the album, I did try to find a common thread. “Sing It” talks about not having enough words, melodies, and chords to capture God, our Creator. I wanted to put this group of songs in with that song because that sums me up as an artist. I wrote “3 Minute Song.” It was kind of the same thing. The more I write, the more I’m realizing that I’ll never be able to write enough. I don’t think that’s necessarily the theme that runs through the album, that’s why I chose to call it See You and that’s why “See You” falls dead center in the track listing. This is the first album that I’m really proud of the order of songs and the flow of music. Every song is not the same. It doesn’t all talk about seeing God. But I think that theme comes in and out. How much did your producer, Matt Bronleewe, contribute to that? A great deal. This is the first time I have recorded a single album with a single producer. I feel like this album was very cohesive because it was just Matt and me from the very beginning. Because of that, he was able to help me string things together. It makes the album a complete thought. The other thing I love about your music is that you’re really involved with all aspects of creation, like you played 18 different instruments on this album. Yeah, that was something Matt challenged me to do and it’s something that I’ve done on previous albums. Besides bass and drums, there’s everything from autoharp to ukulele to accordion, and a hammered dulcimer. And a glockenspiel, come on! That’s hilarious! I get this idea that when you go into the studio or write a song, you’re like this creation genius, like you have all these instruments around you and you start pumping out songs like Bob Dylan. Well, I wish it was as easy as walking into a place and it all just sort of happens around you. But the writing process is a slow one for me. It takes a while. When we get into the studio, there is a bit of a mad scientist element. Matt has all these instruments in there and we’d listen to a track, and I’d say, “Let me try this!” There’s a good element of spontaneity in the recording process. That’s not to say that every idea is a good one, so Matt helped a lot in that process. I think you had said at some point there’s more of you in this album. Hmm…I feel as a writer I’m growing and hopefully each song I write is a little more honest. That’s why I feel like I can write a song like “See You” that deals with doubt because that’s something I struggle with. Any Christian who’s honest struggles with the same thing. Each song is about something I’ve been through or a close friend has been through. I try to stay close to real life stories and build songs from that. I noticed in the song, “They Just Believe,” which you wrote about your 2009 trip to India, you say, “I believe, help my unbelief.” This is a direct quote from the Gospels. What does this mean to you? That’s my prayer a lot of times. Absolutely. Sometimes it’s the most appropriate thing to pray. As we wrap up, is there anything about this album you think the folks need to know? I really am proud of this album. I’m really excited for people to hear it. I hope they hear honesty and I hope I haven’t skirted any hard issues in these songs. Scripture doesn’t do that; Jesus doesn’t do that; and life certainly doesn’t do that. We can’t pretend that everything’s always smiley. While I do deal with a lot of hard things, what I want people to take away is hope. As Christians, we are equipped to deal with the most difficult things in life because Jesus went through them. I hope people will take away hope in the middle of pain. For more Josh Wilson goodness, head over to his website at JoshWilsonMusic.com and hook up with Josh on all your favorite social networks, including Twitter (@joshwilson) and Facebook (facebook.com/joshwilson). Also, you can see Josh live on the summer festival circuit and this fall he’s touring with music veterans Steven Curtis Chapman and Andrew Peterson. Ridiculously Low Prices on Great Music! Everyone likes a deal, right? I especially keen on deals involving books and music, which is why Amazon’s current Deals of the Day are especially sweet because they’re featuring the music of some of my favorite artists, like Josh Wilson, Matthew West, and Shawn McDonald at ridiculously low prices. The deals only last for 24 hours, so check the calendar below so you can grab tunes from all your favorite Sparrow recording artists. Mandy Parsons is one of the coolest people in the Christian music industry. Here’s why—after I chose to return to the world of journalism, specifically in the Christian music market, Mandy was one of the first publicists to help me out. Because of her, I was able to schedule reviews and interviews with some of the industry’s hottest artists for the youth ministry site I was working with at the time. Then when I decided to start Backseat Writer, Mandy was incredibly supportive. Not only is she a great publicist to her clients, she takes the time to get to know the press people with whom she works. One of the best in the business, Mandy’s been working as a publicist for 10 years. She launched her own independent public relations agency, Savvy Media Solutions, in 2004. Savvy Media provides exposure to both highly visible artists such as newsboys, Matthew West, Superchick, GRITS, and Britt Nicole, and solid record labels like Forefront Records, Credential Recordings, Sparrow Records, Inpop Records, and Revolution Art. Well-respected and always professional, it only made sense to ask Mandy to “Take 5” with Backseat Writer. *How did you get your start working in publicity? Upon graduating college I moved to Nashville to intern with Atlantic Records in its Christian music division. It was there that I met Melissa Hambrick, the label’s contracted independent publicist, who owned SpinCycle Public Relations. At the time, she needed part-time help with tour press for another client. I worked at my internship during the morning and for SpinCycle in the afternoons. After I completed my internship, SpinCycle hired me on full time. It was there that Melissa took me under her wing for what I would now describe as an apprenticeship. She taught me absolutely everything I needed to know about public relations. *What are some of the fun perks of your job? I love getting new music before it releases. Working and interacting with the artists is one of the most rewarding aspects of my job as well. * What is one misconception that people have about your job that drives you crazy? *Share a crazy on-the-job story (the more chaotic, the better). Any time I need to get a photo op with someone who is high profile I feel like a stalker. There was one instance when I waited outside Sean Hannity’s tour bus for six hours to get his photo with one of my clients. I literally had 60 seconds from when he left the venue to board the bus to get my shot. Ha, ha. Matthew West’s Something to Say CD and Sarah Reeves’ latest release, Sweet, Sweet Sound, a ton of post-it notes, the Associated Press Stylebook, message book of phone calls I need to return, stack of press clippings and magazines, marketing notes, my “middle- of- the- night- ideas” note pad, a book on web marketing. Buy Matthew West for $1.99…OK, his album SOMETHING TO SAY. I want to make sure that everyone in all the world knows about this great deal. You can get Matthew West’s best-selling album for just short of $2. I probably should own this album, but I just bought it for the low, low price of $1.99. See, sometimes the late bird gets the worm, too. Act fast because this promotion ends today! TAKE ADVANTAGE OF THE DEAL OF THE DAY AT AMAZON.COM! MATTHEW WEST’S BEST-SELLING ALBUM SOMETHING TO SAY, FEATURING NO. 1 RADIO HITS “YOU ARE EVERYTHING” AND “THE MOTIONS,” AVAILABLE FOR DIGITAL PURCHASE TODAY ONLY AT THE LOW PRICE OF $1.99. By Sarah Merkel The artist simply known as Mandisa became a household name as she entered the final rounds of “American Idol’s” fifth season. 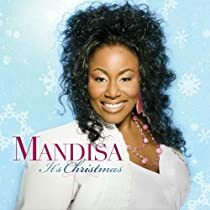 After her debut album, fans were craving more and Mandisa decided to expand on her four song EP to produce a new holiday album called It’s Christmas. Soulful and original, It’s Christmas is a rip roarin’ good time… if you’re into gospel music. Creativity:: 4 Although this album is comprised of mainly traditional songs, they are performed with a black gospel feel that adds in some great horn parts. Vocally, Mandisa takes the songs to new heights, even though her vocals don’t seem to reach as high as she would like. Original Songs:: 7 There are two original songs on this album, “Christmas Day” featuring Michael W. Smith and “Christmas Makes Me Cry” with Matthew West. Both songs have great lyrics and a warm feel. The addition of male vocalists adds to the dynamics of this project. Classic Covers:: 4 Comprised mostly of covers, Mandisa does a nice job on songs like “Children, Go Where I Send Thee” and on Stevie Wonder’s “What Christmas Means to Me”. However, Mandisa’s renditions of “Little Drummer Boy,” “O Holy Night,” and “Feliz Navidad” are overdone and poorly executed. Musical Score:: 8 The background music was full and lively, offering the listener the sounds of a Christmas concert. The horn players on this album did an exceptional job with near-perfect intonation and pitch. Overall Holly Jolliness:: 6 Fans of the gospel genre will be sure to find themselves in the Christmas spirit after listening to It’s Christmas. Total Score= 29. This is a great stocking stuffer for that hard-to-buy-for-gospel-loving-person on your Christmas list. To read our review guide lines, go here. You can find It’s Christmas and the rest of our great “12 Days of Christmas Music” reviewed albums in Backseat Writer’s online store, Drive-By Shopping, under the “12 Days of Christmas Music” category! Sarah Merkel is a social worker specializing in adoptions, even though she though has a degree in music. When she’s not rockin’ out to Guitar Hero or getting into trouble with Amy (Sondova), she’s playing trombone with Grace Notes Gospel Big Band. 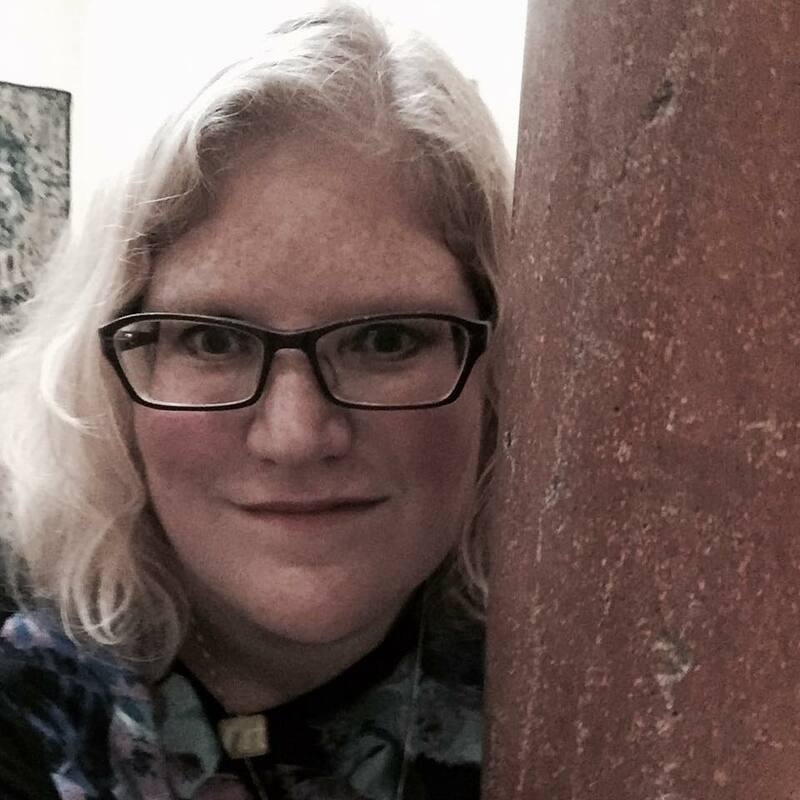 Sarah has the tedious responsibility of editing Amy’s first drafts, and if Backseat Writer ever makes any money, Sarah will manage the finances. Plus, in the event that Amy becomes incapacitated Sarah will assume site responsibilities, sort of like the vice-president.